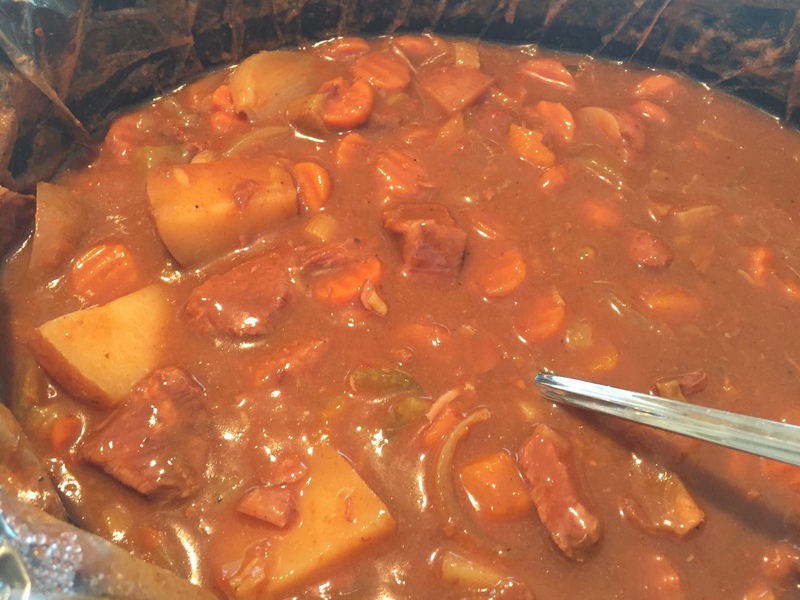 This is one of those meals that you can throw together in the morning, set your slow cooker for 6 hours and leave the house. When you come back, the house will smell fantastic and you’ll have a delicious, and nutritious meal that everyone will love! Go ahead, try it!! Cut the whole roast in large-bite size pieces. (I always buy the whole roast and cut it myself, you get a lot less fat. 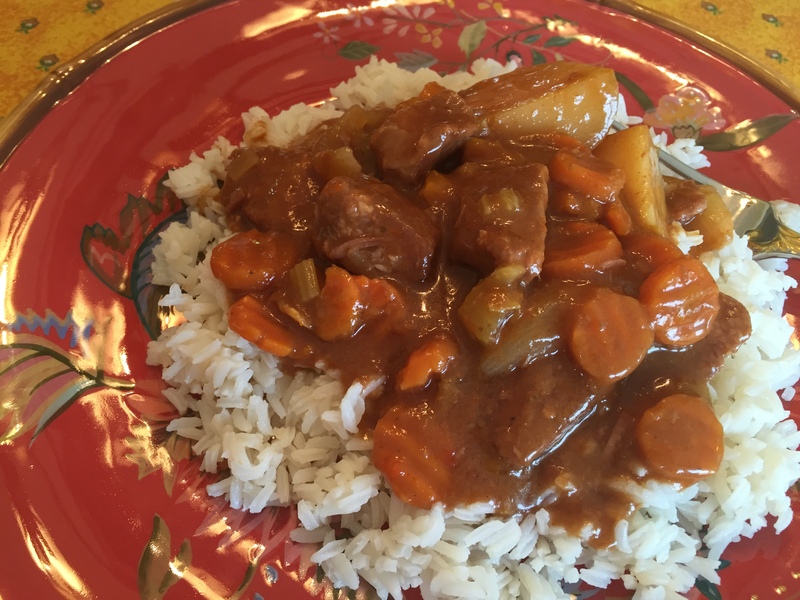 Usually the cut stew meat is left over pieces from cutting other meats.) Place the pieces of meat in a large bowl. Sprinkle with salt, pepper, and garlic salt. Add about 1/4 C flour to the meat and mix it around to coat the meat pieces with flour. Set aside. Serve over white rice. Serves 6 to 8. 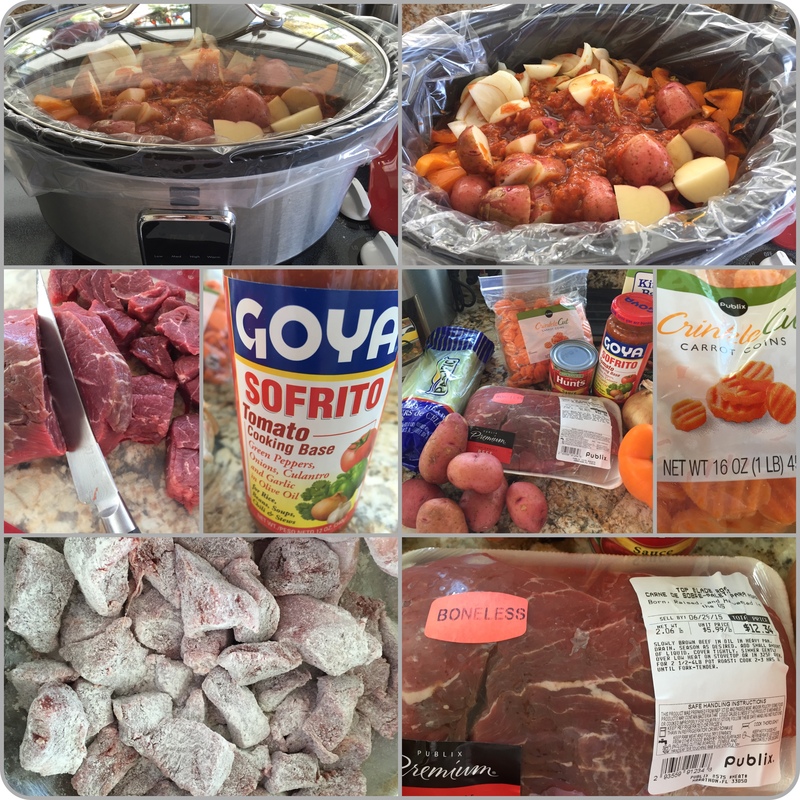 This entry was posted in ENTREES and tagged beef, beef stew, family food, fast, hearty stews, slow cooker, stew. Bookmark the permalink. Beautiful! You’ve been a busy chef! !